Fractured wind instruments coupled with vintage, half-broken analog gear, cuts through deep four on the floor beats and shattered synths. Label manager, Symbio teams up with experimental improv multi-instrumentalist, Kyle Bruckmann (aka Stunp) to explore the boundaries of the techno + house framework using original sound design and a lateral approach to dance music composition. “Deep. Fried” is a thick, uncompromising techno wall of sound fried in decaying analog gear ready for abandoned warehouses and Funktion One sound systems. 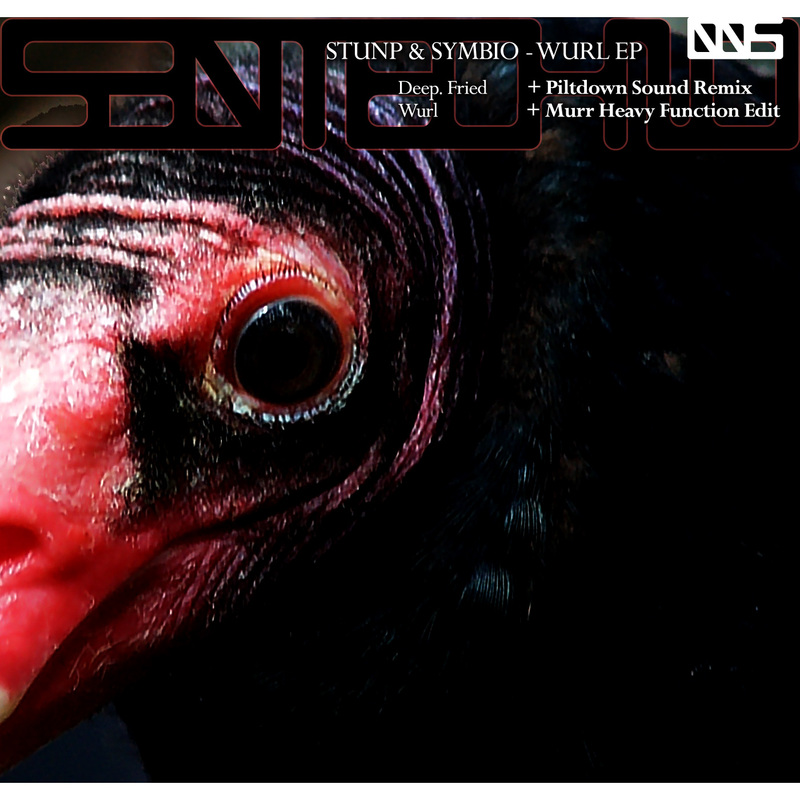 The title track, “Wurl”, by contrast, is a moody, slow mo tech-house burner sculpting samples from an old Wurlitzer 805 organ. On remix duties, Piltdown Sound (Landed Records, Blipswitch) strips “Deep. Fried” down to it’s percussive bones. Intricate and mesmerizing spatial field and timing modifications create a peak time minimal techno bomb. Toronto’s Murr (New Kanada), transforms “Wurl” into a ghostly cinematic piece of minimalist house both beautiful and ready for deep after hours dance floors. This entry was posted in Our Releases and tagged Analog, Drone, Experimental, Kyle Bruckmann, Murr, Nicholas Murr, Piltdown Sound, Raw, Stunp, Symbio, techno. Bookmark the permalink.